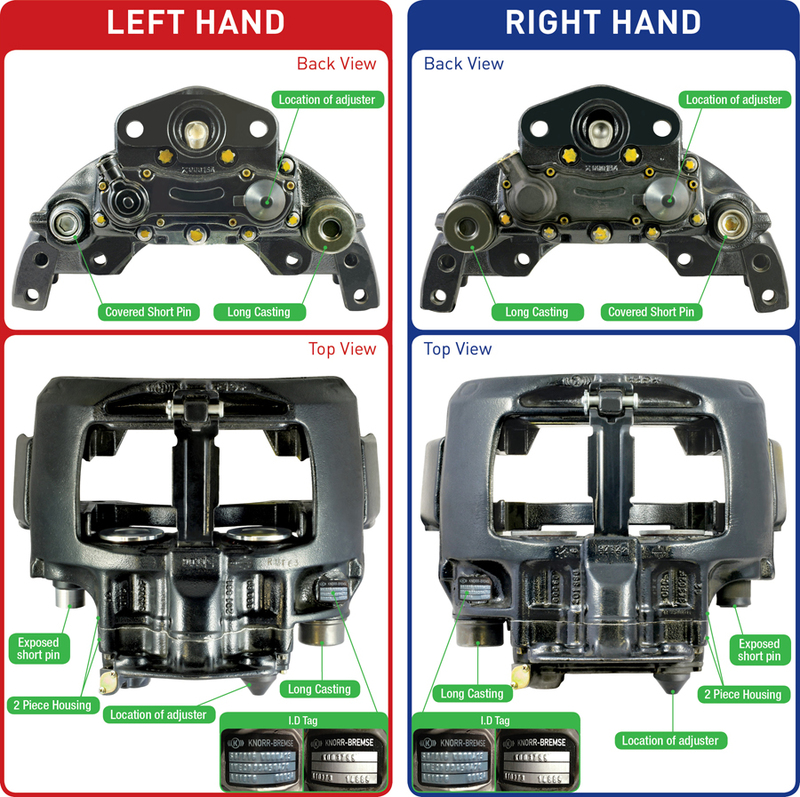 This information is a way of identifying different makes and types of Truck & Trailer calipers that we deal with on a regular basis. In all occasions it is important to identify the “hand” of the caliper, not the position. Not all calipers found at the LHF position are infact LH calipers, calipers can be used in opposite positions depending on suspension configuration. 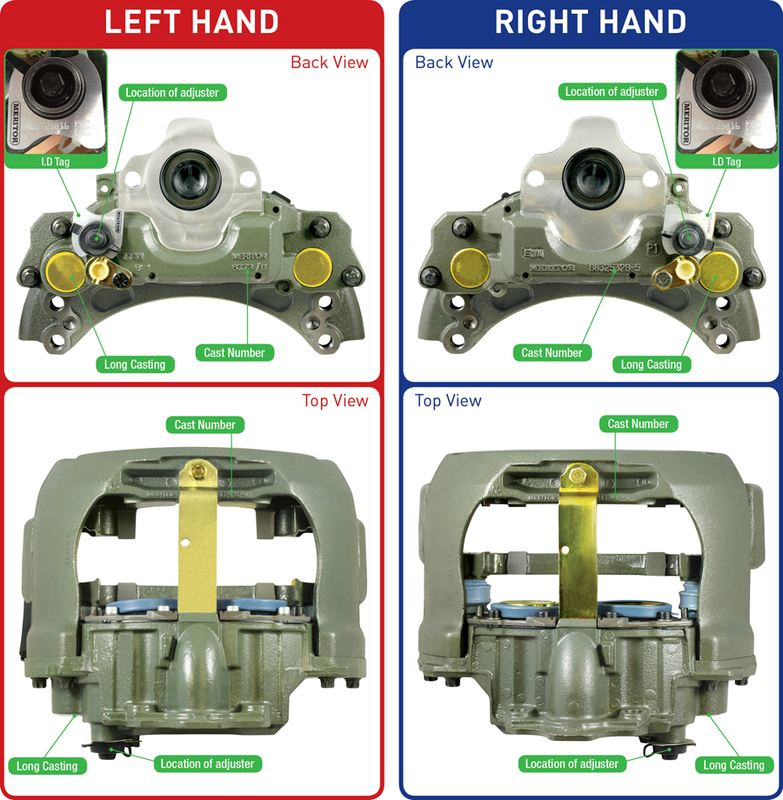 On BPW underslung suspensions the righthand caliper is used on the left side of the axle & the left hand caliper is used on the right side of the axle. On BPW overslung suspension the righthand caliper is on the right side of the axle & the left hand caliper is used on the left side of the axle. The way of identifying calipers is not the same for all brands ie. Meritor DX series are identified differently to Meritor Elsa series. We have included as much information as we currently have available, we will update our information as it becomes available. We hope the photographs and information help you in assisting your customer to correctly identify what they need. 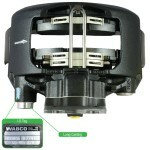 If the I.D tag is still intact you will find the “caliper model” and “part number” located here. Cast numbers can help to Identify which caliper model / hand you have, these numbers will generally be in the same location. If I.D tag is not locatable, then view caliper from the back in order to identify caliper hand. Generally you would view this caliper from the “Back View”, by doing this it is easier to identify the hand of the caliper, note position of long casting. “Left Hand Caliper” they are beside each other. “Right Hand Caliper” they are opposite to each other. 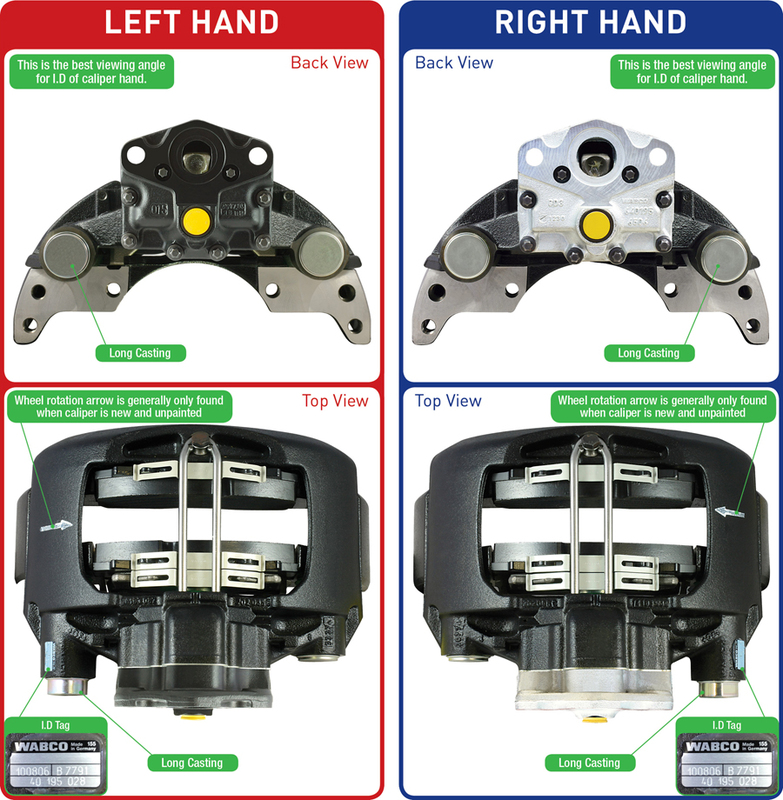 There have been changes to Knorr disc brake calipers over the years - some of the service kits are different between the different types. BPW classify the Knorr calipers fitted to their axle as Type A, Type B & Type C. Knorr classify the same calipers as SB, SN & SK types. Knorr calipers are not only found on BPW trailer axles, they are used on many makes of vehicles ie. Scania, SAF, Iveco, Hendrickson, Mercedes Benz, MAN & DAF. The principle for identifying all Knorr calipers is the same regardless of vehicle. 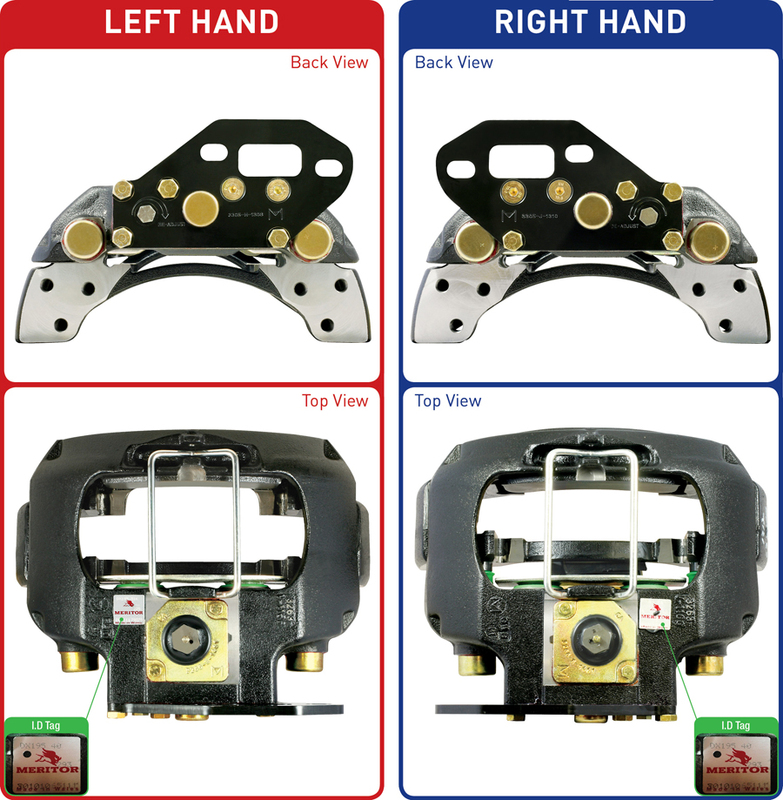 Some differences found between Caliper types are as follows. 8mm Hex adjustment screw with flat plastic cover & exposed short guide pin, also 2 piece housing & raised bellow with hose clip (long casting). 10mm Hex Sacrificial adjuster screw cap with domed rubber cover. Covered short guide pin & 2 piece housing. Raised steel cap with O Ring (long casting). 10mm Hex Sacrificial adjuster screw cap with domed rubber cover. Flat steel cover replaced raised steel cap.